Saturday Night Fever, full of energy, hormones, anger and disco music, was - thanks to its soundtrack - one of the defining films of my early teens. And yes, we all copied those Night Fever dance moves and poses, even if we couldn't run to white flares and an entire disco floor all to ourselves. So when I first began to hear about a Catholic youth event called Nightfever, I naturally assumed that it, too, would be energetic and bustling. I understood the idea: young people standing outside a city centre church, inviting passers-by - on their way home or off to the pub or a club - to come in, light a candle and pause for prayer. Somehow, I imagined a certain amount of movement and hubbub, conversations in corners, a constant, noisy flow of people and lively, enthusiastic hymns. 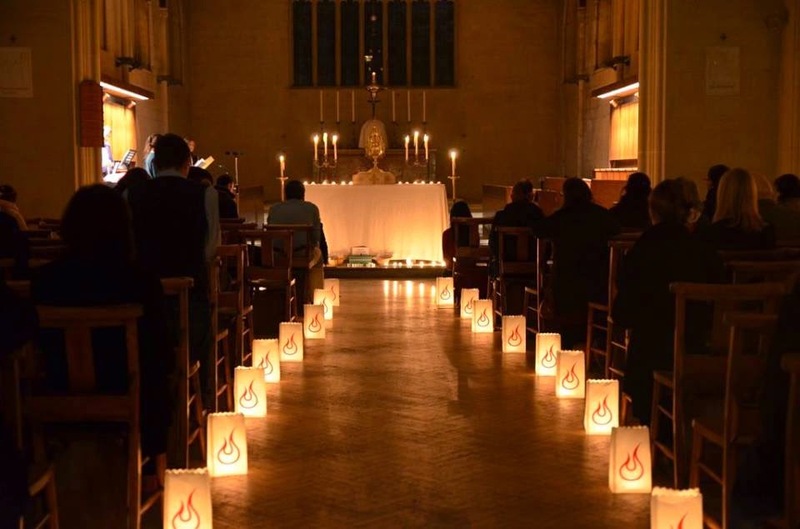 For the next 30 or 40 minutes I sat in a darkened church made luminous by an ever-increasing number of tiny candles, with quiet worship songs filling the silence, and several dozen people filling the space with stillness and prayer. The Blessed Sacrament was exposed for adoration; the altar steps before it full of flickering tea-lights, beside them a box for prayer requests and a small basket containing scripture quotes. Every minute or so the stillness was punctuated by one or two welcomers, bearing lanterns, quietly bringing people to light candles. They gently explained things then stepped back, invariably kneeling while "their" person lit their candle and maybe wrote a prayer request. The atmosphere throughout was reverent and prayerful: whether their body language showed ease or awkwardness, those lighting candles were quiet, recollected, maybe even awed by what they were doing. A few lingered, or found a pew and stayed longer. I'm told that over 300 people came in during the three hours of Nightfever to light candles. Those I saw were of all backgrounds and ages, several with small children, their absorbed faces glowing in the candlelight. Whatever their reasons for accepting the invitation to step inside, they will hopefully not forget the reverence and prayerful tranquillity which welcomed them in. I certainly won't.